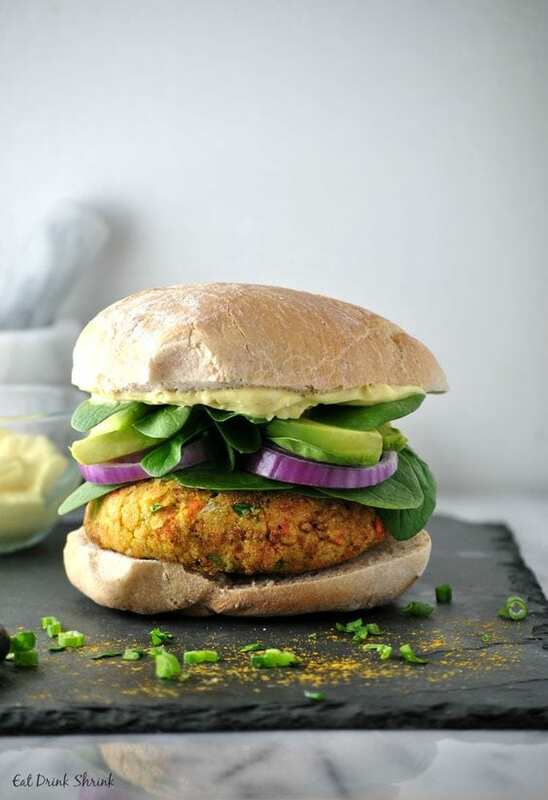 Vegan Curry Chickpea & Quinoa Burger - Eat. Drink. Shrink. I don’t know about you, but while I really enjoy curry, I only utilize it in a handful of soups and a tofu dish. For the most part it just doesn’t seamlessly fit into a lot of my “go to” recipes as the flavor can be very overpowering and take over a dish. 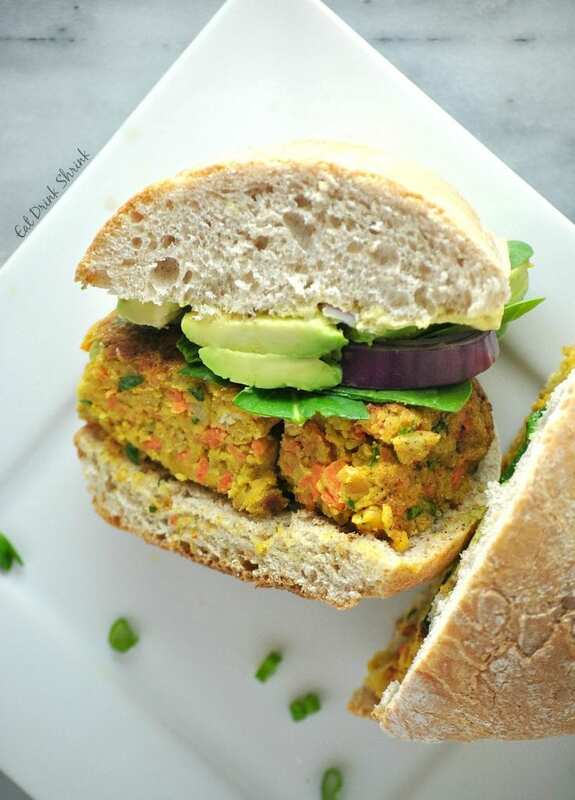 One of my personal favorite curry concepts though, is this vegan Curry Chickpea and Quinoa Burger from 2016!! 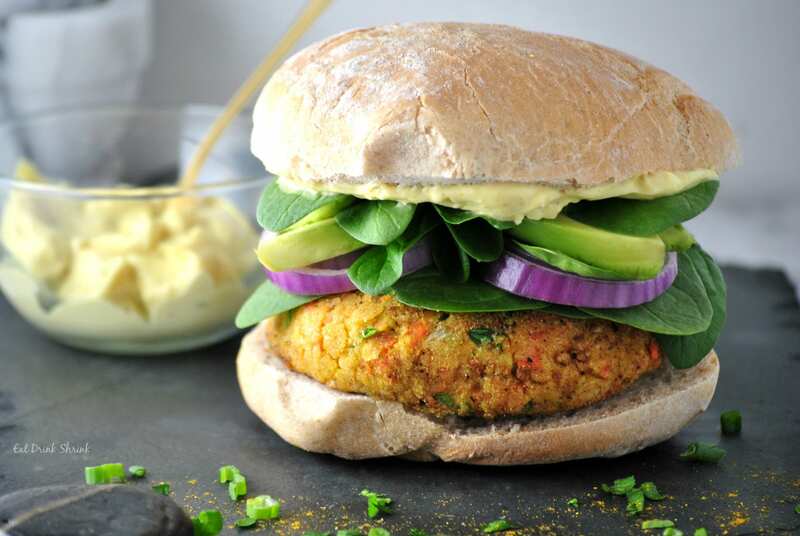 Since breaking into the plant based world, I initially recall surviving on veggie burgers. At that time they were the store bought frozen options and today given the myriad of options we have, they were just plain awful lol. 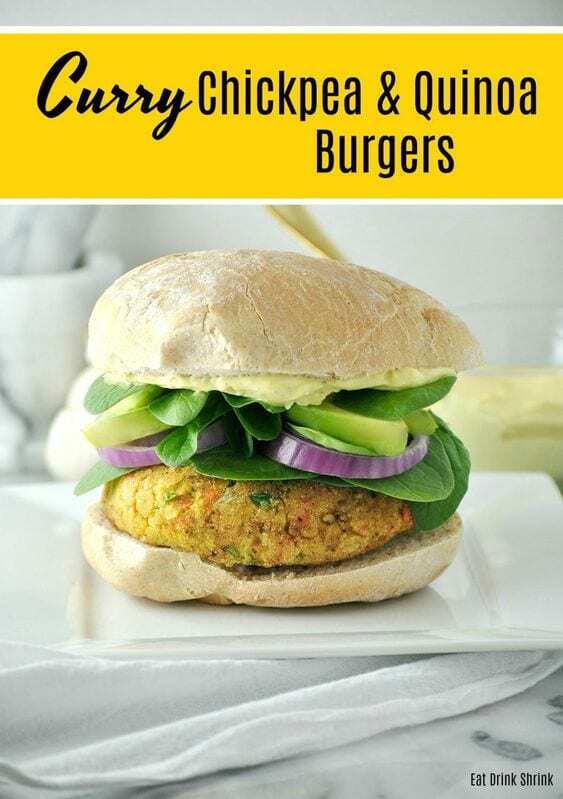 Needless to say, I don’t have a endless veggie burger options as I love to explore other concepts..
What I love about this recipe, is everything! 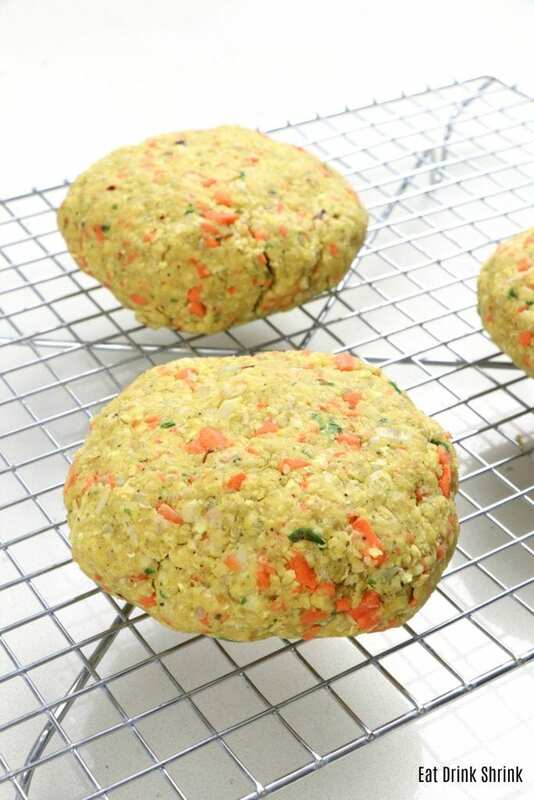 It’s jam packed with chickpeas, quinoa, and carrots, uses ground oats instead of flour, can easily be made in bulk, affordable, easy, packs tons of flavor, perf for any season, non vegan approved, and the curry mayo just puts it over the top! 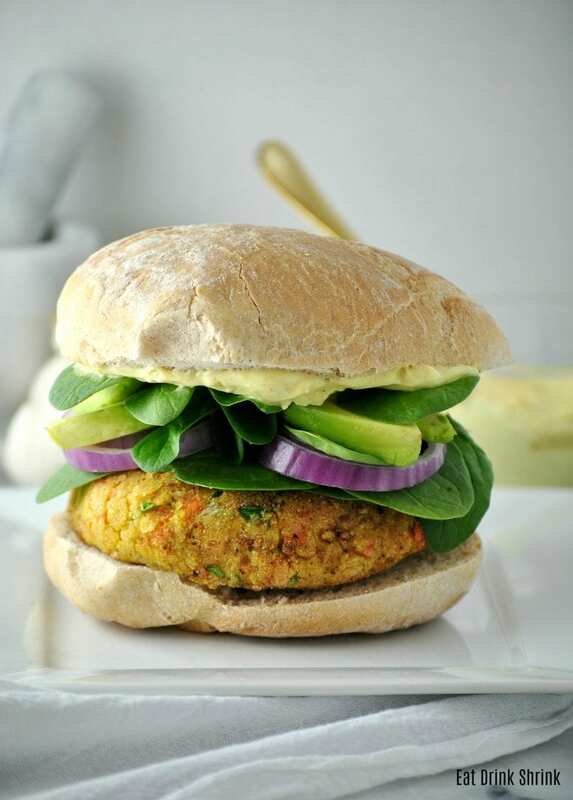 Whether you like curry, or completely loathe it, you will love this Curry Chickpea & Quinoa burger! Minimal ingredients, lots of spice! Great for those who don’t even like curry! Um, curry mayo, nuff said! sliced red onion or pickled! For the burgers, throw everything in a food processor and pulse til the mixture starts to come together. Shape mixture into 4 patties. Curry Mayo: Whisk all ingredients together in a small bowl. Serve: Assemble burger with buns with patties and top with curry mayo, greens and fresh sliced red onion or my favorite, pickled red onion!